A new grade of eco-friendly diesel, introduced on January 14 following an EU directive, could cause serious damage to yacht engines, warns the Cruising Association (CA). Sulphur-free gas oil (SFGO) has only 10 million parts per million of sulphur instead of the 1,000 parts per million in regular diesel. Because of this, additives are mixed in to make up for the loss of the lubricating effect that comes from diesel with a higher sulphur content. Another fear is that the new fuel may also contain fatty acid methyl ester (FAME), a biofuel obtained from renewable sources, intended to reduce consumption of the world’s limited oil supply. ‘It can have a seriously detrimental effect on some marine engines and is known to make worse the problems of “bugs” in tanks causing blocked filters,’ warned Colin Heywood of the CA’s regulations and technical services group. He added that it ‘can break down into acids, leading to engine equipment damage and leakage from fuel component seals’. The storage life of fuel with FAME is also much reduced and fuel tanks may have to be drained after a prolonged winter lay-up. The CA has asked the Department of Transport to ban FAME in all marine diesel because of the risk of ‘catostrophic engine failure at sea’ and because of the cost and difficulty of cleaning contaminated fuel from boat tanks and engine systems. They also want legislation to force fuel outlets to notify users of the specification and contents of their fuel at the point of sale. 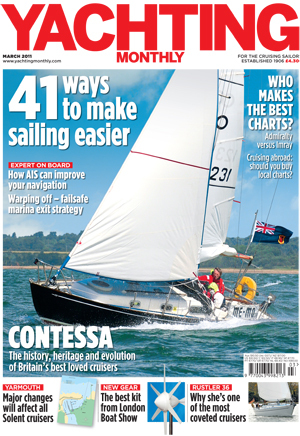 For more on this story see the March issue of Yachting Monthly, which is on sale now.